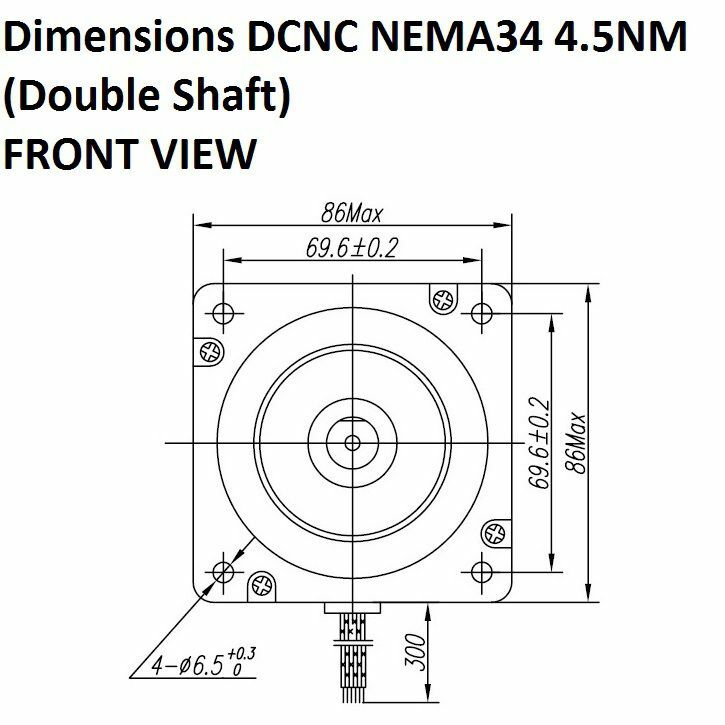 Stepper Motor DCNC-NEMA34-4.5Nm (Double Shaft) | DamenCNC B.V.
NEMA 34 4.5Nm stepper motor, but then with a double shaft. 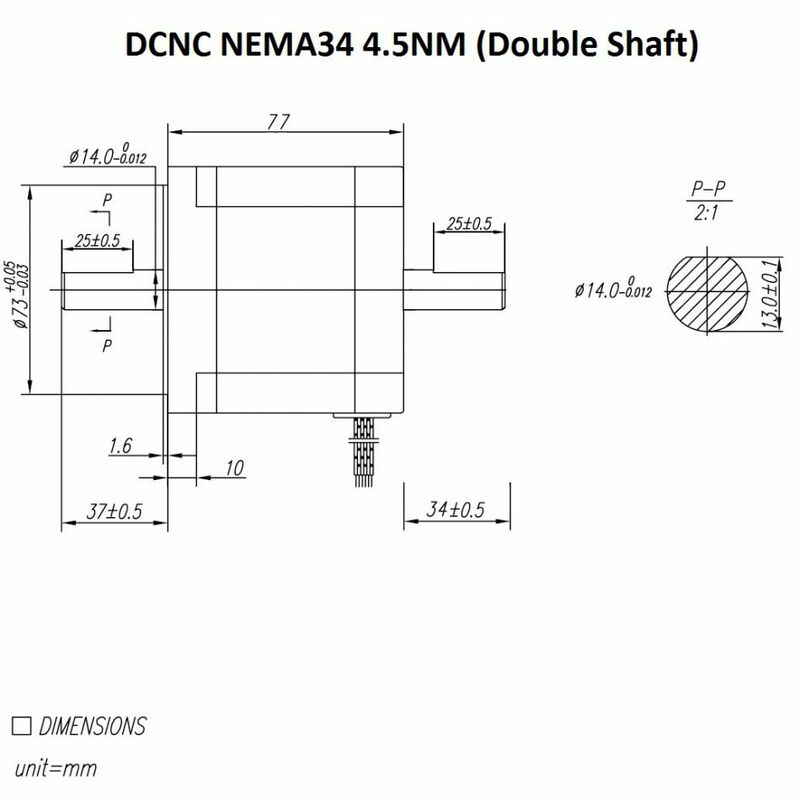 The double shaft is often used to mount a mechanical brake on the Z-axis of CNC machines. Other clients use it to mount a handwheel, so the CNC machines can also be manually adjusted. 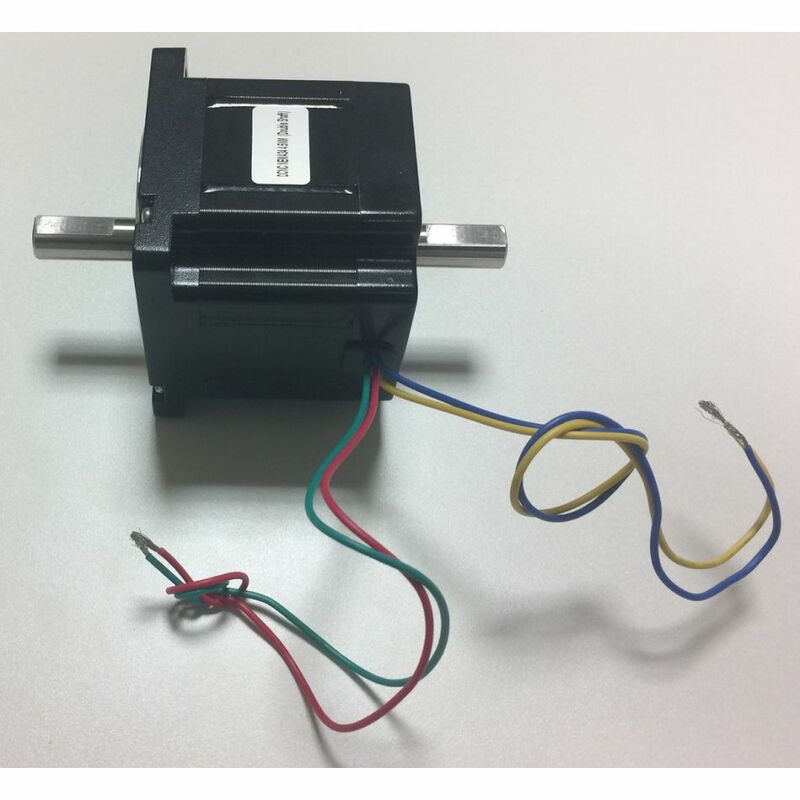 Basicly this type of motor is used, when you need to be able to mount something on the front and back of the motor. 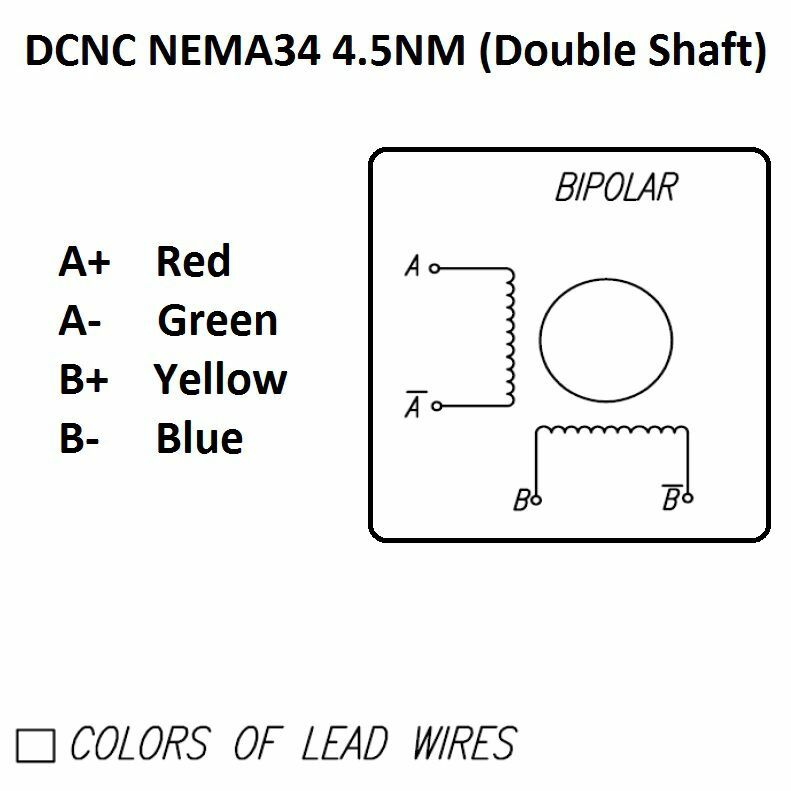 We advise to use this motor with a DM856 driver and 75VDC (at least), you can get even more performance by using it with the DM2282 driver.